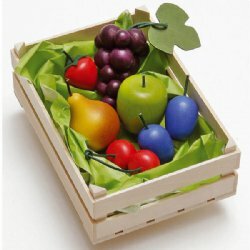 BabyNaturopathics.com - Erzi Assorted Fruits Crate Wooden Pretend Food - Baby Naturopathics Inc.
You can earn 35 bnReward Points on this product! Erzi wooden toys are made of wood from managed European forests and are decorated with safe, water-based dyes and finishes. Assorted Fruits pretend food is crafted in Germany.